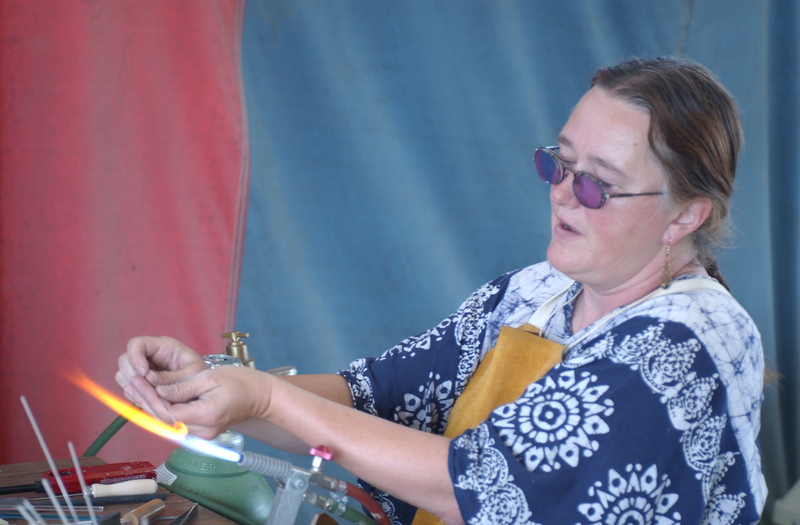 Eirny (Irene Davis) is a multi-media artist specializing in metal and glass combined together in unique manners. Her academic background includes a Masters Degree in Archaeology and an undergraduate degree in Sociology with an Anthropology specialization. Her post graduate studies have included rendering in water colors and pencil, jewelry making, lamp work glass, metal casting, and expressionistic art using found materials. Irene’s love of “hot things” has culminated in her unique expression in mixed media – especially metal and glass. Just wanted to thank you a million times over for your post on “Removing “Copper” Surfaces from your Brass or Bronze” it just worked like a charm for me!! Granted I had to do two rounds but wow, with just 1 rinse in this magic solution so much grit came off my vintage pieces!